Yes it really is that simple. We’re offering a 5% discount on all of our hire services* until the end of March. We’ve recovered from the festive season, survived the January sales and forgotten all of our New Year resolutions … so what better time to organise a party? From now until 31st March 2017, book any hire services* from ABC Marquees and we’ll knock 5% off the total price for you. 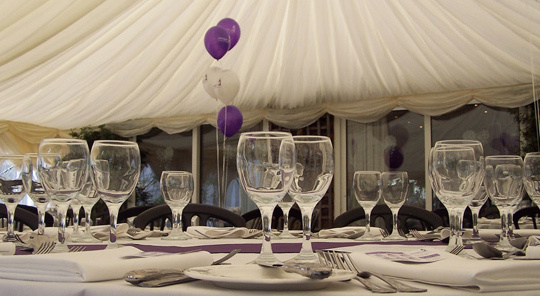 This discount is valid on absolutely everything available to hire directly from us – marquee hire, marquee linings and accessories, furniture, staging, even ice rink hire and ice bars. Not only will we take 5% off the cost of hire, we’ll extend this offer to all of our set up and delivery charges, event management services and wedding planning. The bigger the party, the more you’ll save! We’re so generous here at ABC Marquees, we’ll even take a further 5% off our new Marquee Party Package price, making the total cost an incredible £2,636 – less than £24 per head. This 5% off is valid for parties, weddings, corporate events or any other reason for a get-together. Simply book everything before 31st March. *This offer is not valid on items or services provided by our partners, therefore it excludes venue hire, third party catering services and mobile toilet hire.